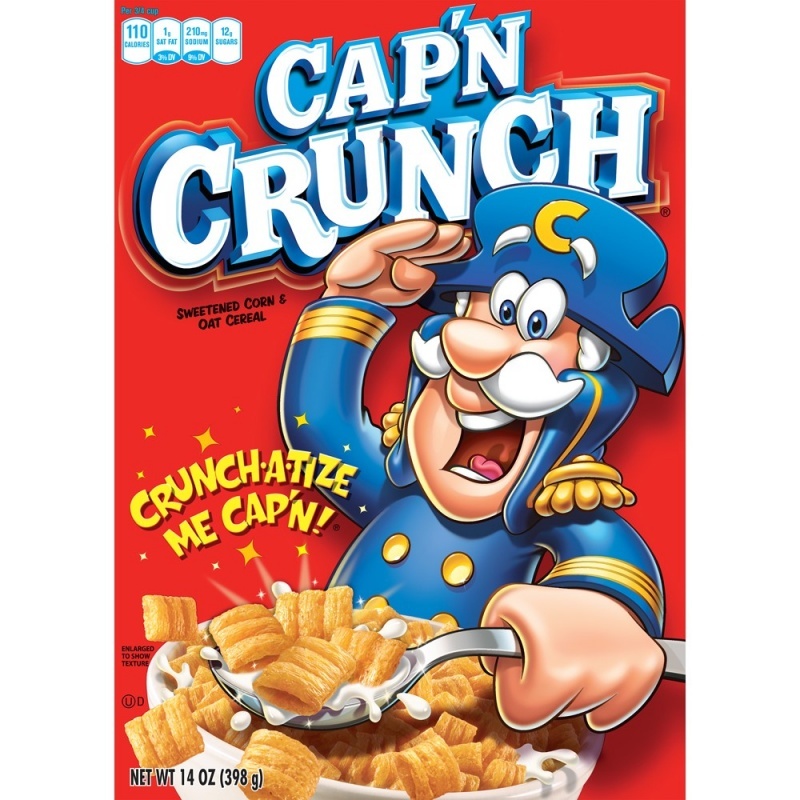 Captain Crunch 14oz 397g American Breakfast Cereal Capåä n Crunch is a great-tasting, crunchy sweetened corn and oat cereal your whole family will love. ItåäÛªs an excellent source of seven essential vitamins and minerals, is low in fat, and contains zero grams of trans fat per serving. Serve it with low-fat milk and fruit or a glass of 100% juice for an easy-to-prepare nutritious breakfast. 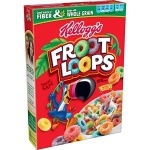 Importing your favorite AMERICAN FOODS to the UK. Ingredients: Corn Flour, Sugar, Oat Flour, Brown Sugar, Coconut Oil, Salt, Niacinamide (One of the B Vitamins)E102**, Reduced Iron, Zinc Oxide (a Source of Zinc)E110, Thiamin Mononitrate (One of the B Vitamins)BHT (a Preservative)Pyridoxine Hydrochloride (One of the B *Produced from genetically modified maize. 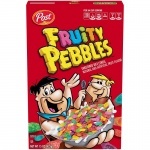 **May have an adverse effect on activity & attention in children.